I’m almost half way with The Splendid Sampler, block 51 was published today out of 100, I’ve completed 47, another one is almost done (just a bit more hand-sewing) but I’ve just finished one called Summer’s Gift by Karla Eisenach. It’s a nice mixture of piecing and applique. I just blanket-stitched round the flower by hand. I’m really enjoying the Anderson Farm quilt now I’ve got my head round my limits on applique, bondaweb is definitely the way forward for now, though I would like to master needle-turn eventually, just not now! Last months block was of a dog and two sheep. 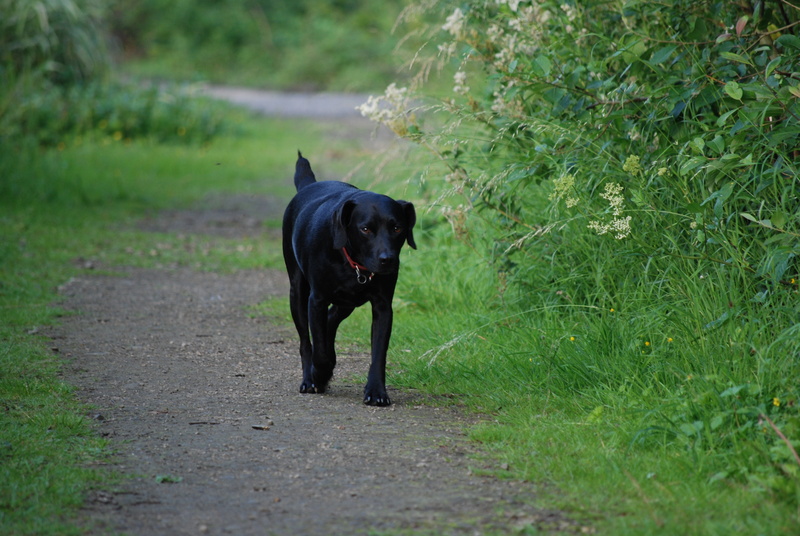 I embroidered the dog in an almost black shade to look like my dog Zac, he’s the right shape too. I wasn’t too sure on the shape of the sheep’s faces, they didn’t look like Yorkshire sheep! I changed the shape to make a broader head and rounder nose but it still wasn’t quite right…I consulted with my friend who grew up on a farm… she spotted what was missing immediately, horns! Our sheep have glorious big curly horns, the photo is of Swaledale sheep, Swaledale is one of the more northerly Yorkshire Dales. I embroidered some big curly horns with chain-stitch. 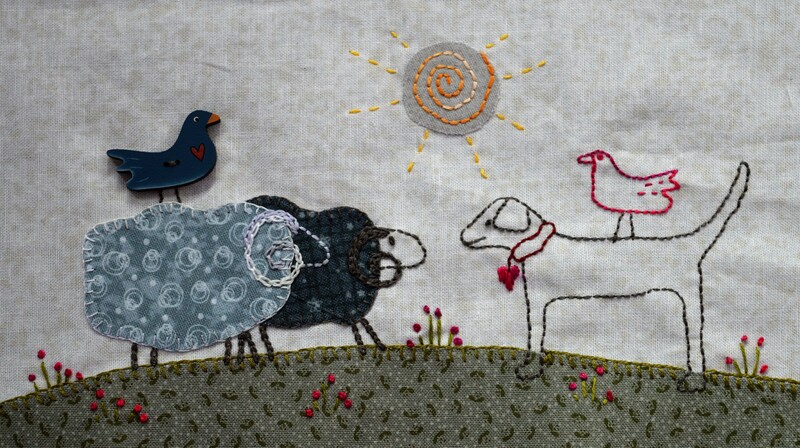 The pattern called for swirly embroidery on the body of the sheep but as the fabric I chose was full of lovely swirlies I decided embroidering them as well could be too much! I’m linking up with Kathy’s Quilts for Slow-Stitching Sunday and Super Mom No Cape for Vintage Embroidery Monday. I’d better get on with hand-sewing all my buttons on, only about twenty to do! This entry was posted in embroidery, Quilting, Serendipity, Splendid Sampler Quilt and tagged #mysplendidsampler, Anderson's Farm, embroidery, Quilting. Bookmark the permalink. Thank you, I do love the big horns on sheep! The curly horns on the sheep are perfect! Your sheep embroidery immediately made me smile! The dog looks so friendly! Kudos on keeping up so well with The Splendid Sampler! So productive! Love your 🐑sheep! The Summer’s Gift looks lovely. Really awesome and I love the horns. What an adorable embroidered blog. Your changes on the sheep are great. 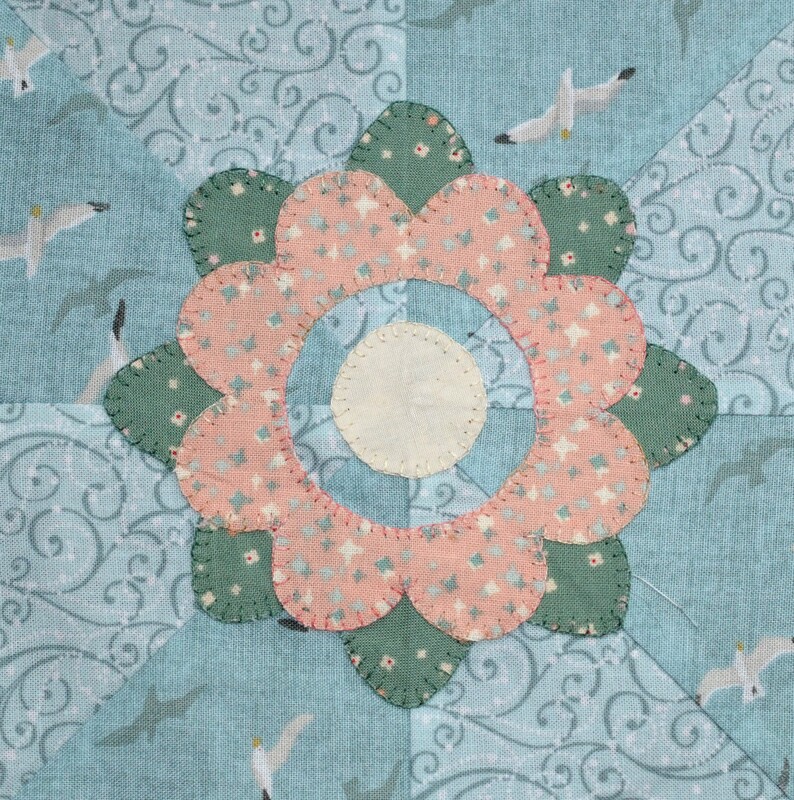 Your quilt block is quite pretty also.